The Pennine Way passes through the Yorkshire Dales and some of the loveliest and most remote wilderness in the north of England, as well as the Peak District and Yorkshire Dales national parks. 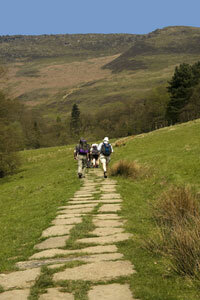 The Pennine way starts at Edale in the Peak District, Derbyshire. This 270 mile long distance trail through moors and dales along the spine of England tests the mettle of walkers although most people just walk a section for convenience and to have experienced it. The Pennine Way crosses the Yorkshire Dales vertically from south to north and anyone walking it will have the privilege of viewing some of the most beautiful scenery in the north of England. The landscapes and character of the Yorkshire Dales varies from dale to dale and this is a visually satisfying way to explore and discover. From Malham, the Pennine Way passes Malham Tarn, an ancient glacial lake which is now a nature reserve overlooked by the Malham Tarn Field Centre for environmental studies. 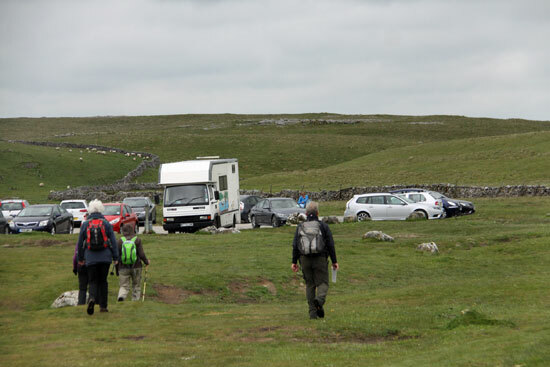 There is a small car park near Malham Tarn which is too small for demand and visitors inevitably park on the grass verges. It is recommended that walkers are properly equipped for the unpredictable weather, the isolation and rough ground encountered along the Pennine Way route.